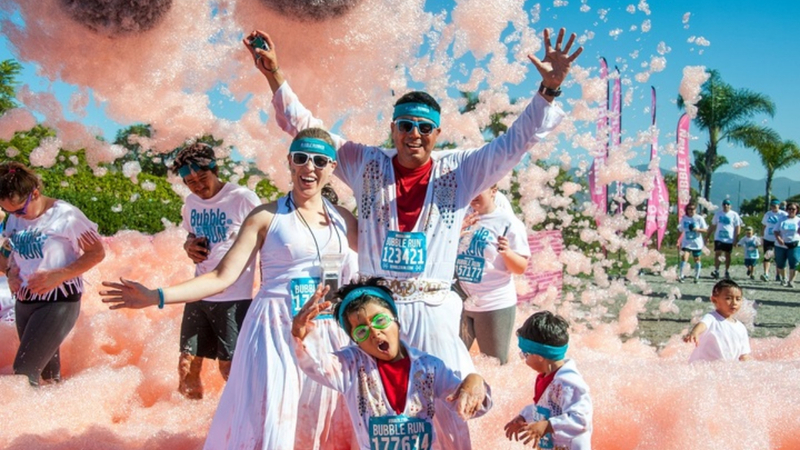 If you’ve done a traditional 5K, you know they can be a bit lackluster. 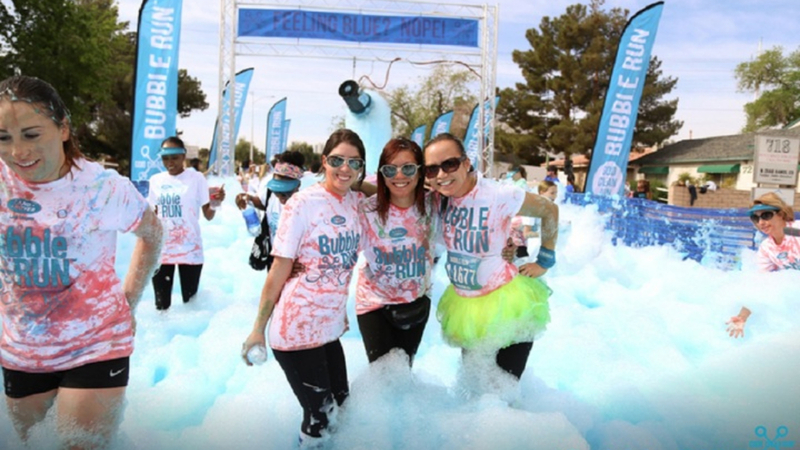 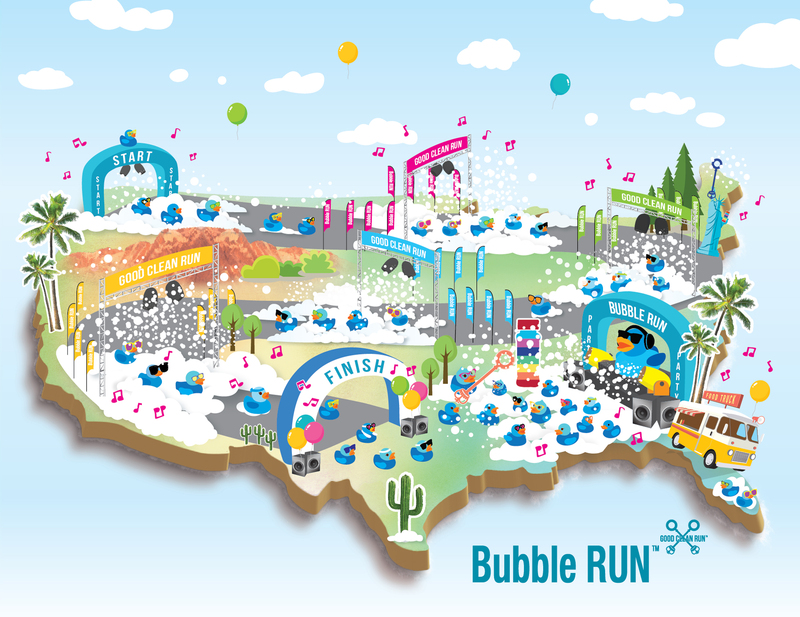 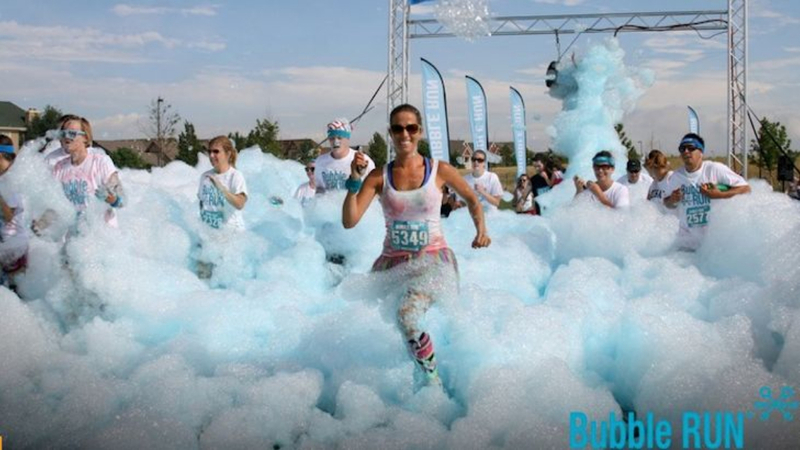 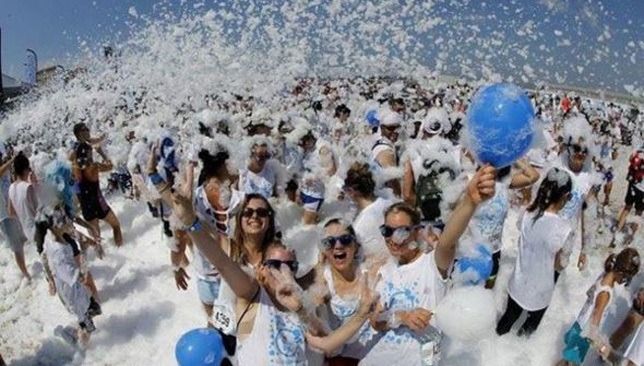 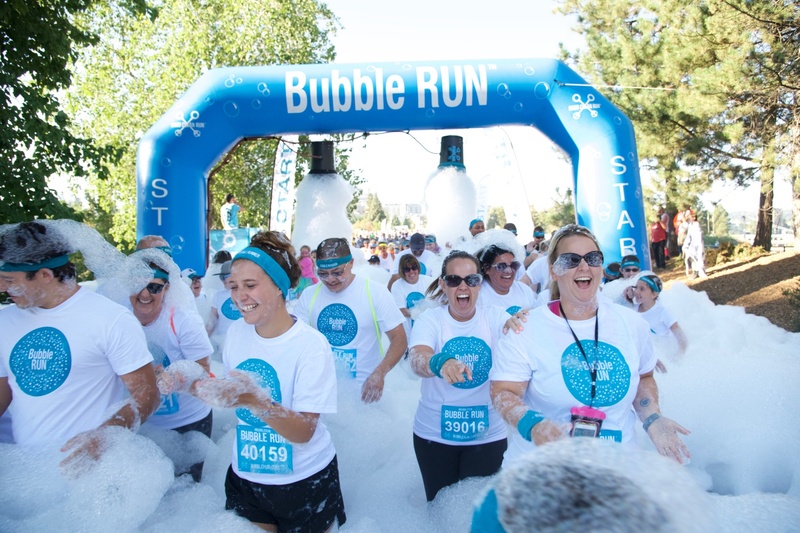 But the BUBBLE RUN™ is like running through Willy Wonkas’ factory. 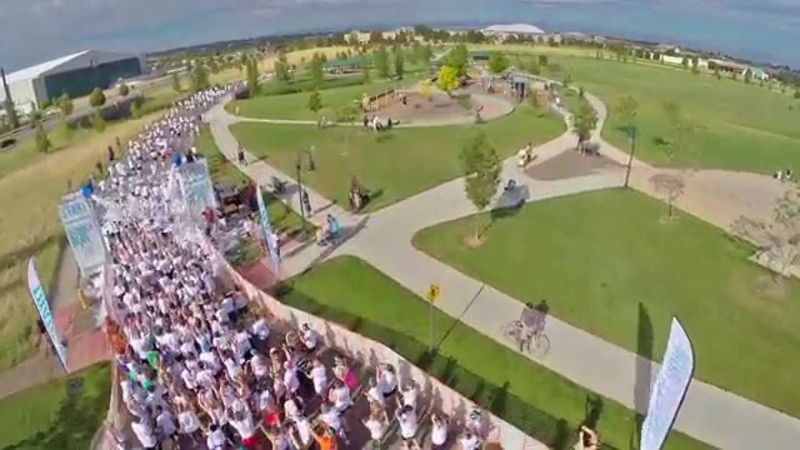 Clad in white t-shirts, adults, kids and strollers run, walk, dance and play across 3 miles of absolute fun! 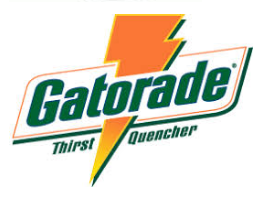 Waves start every 3-5 minutes. 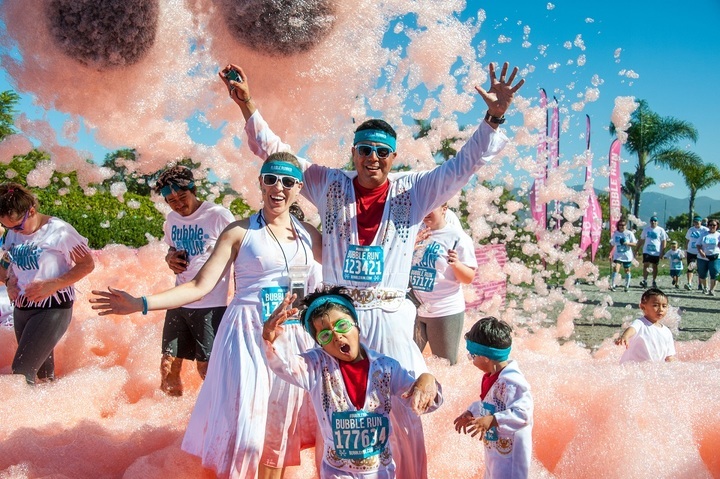 Then, at each kilometer, participants will run through the Foam Bogs where there is enough colored foam to cover you from head to toe! 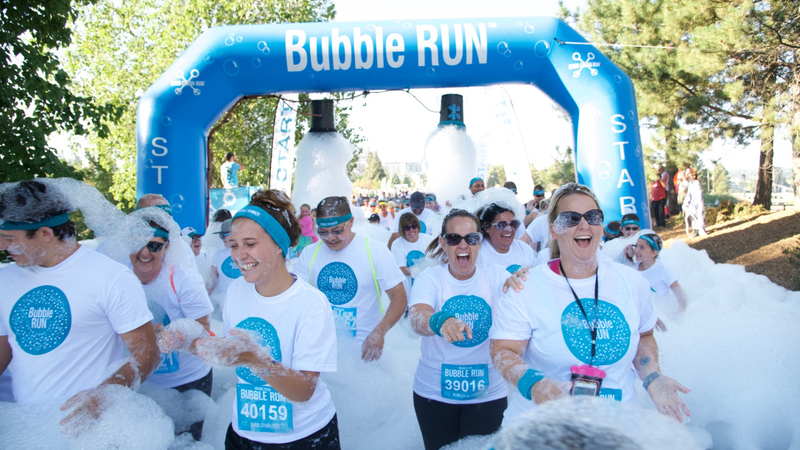 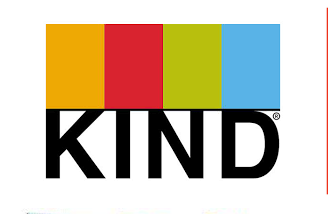 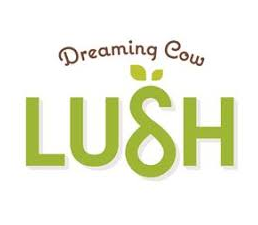 Bubble-teers and charity partners will also be there to help make sure you get your share of the frothy goodness. 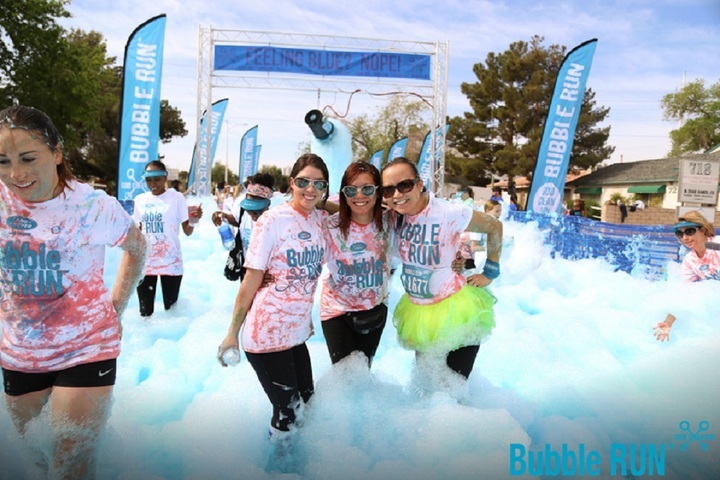 Each of the four Foam Bogs are represented by different colored foam.